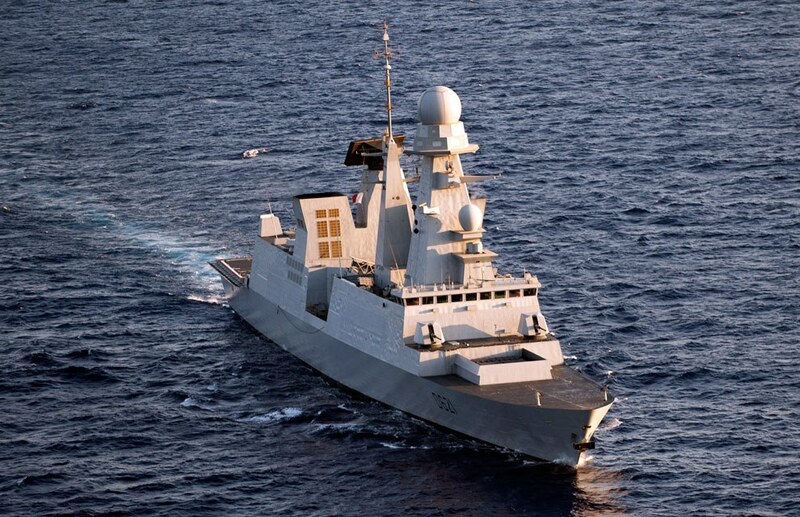 France has dispatched an anti-air warfare frigate to the eastern Mediterranean Sea amid growing speculation of an imminent missile strike on Syria, French news magazine Le Point reported on Thursday. According to an unnamed French military source quoted by the magazine, the Chevalier Paul (pictured) is en route to join a growing flotilla of warships including US navy destroyers and British and American submarines, which are armed with Tomahawk cruise missiles. 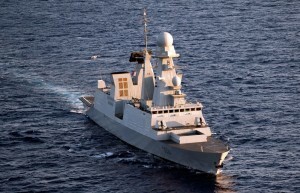 Contacted by Le Point, the French ministry of defence refused to confirm that the Chevalier Paul was headed to the eastern Mediterranean, saying the frigate was on “routine manoeuvres”. The vessel is one of France’s most up-to-date destroyers of the Horizon-class, which Le Point says will be “extremely useful” if Syria decides to launch its air attacks against the international flotilla. Nuclear-powered French aircraft carrier the Charles de Gaulle remains in dock at the southern French naval port Toulon, according to news agencies. Meanwhile Russia, a close ally of Syria’s President Bashar al-Assad and a staunch opponent of military strikes against the Damascus regime, announced that it is sending two ships to strengthen its naval presence in the Mediterranean because of the “well-known situation” there, the Interfax news agency said on Tuesday. The agency quoted a source in the armed forces’ general staff as saying an anti-submarine vessel and a missile cruiser would be sent in the coming days because the situation “required us to make some adjustments” in the naval force. The United States, which is by far the strongest naval military presence in the eastern Mediterranean Sea, has yet to decide to launch strikes against the Syrian regime, which has been fighting anti-government rebels for two and a half years. France, the US and the UK have accused the Assad regime of using chemical weapons in an August 21 attack, which US President Barack Obama said had crossed a “red line” that would warrant a firm response. France has said it is “ready to punish” those behind the chemical attack, but Britain changed its stance on Wednesday, saying the United Nations Security Council should first see the result of a UN weapons inspections team’s findings and that the British parliament would hold two votes before any military action is taken.